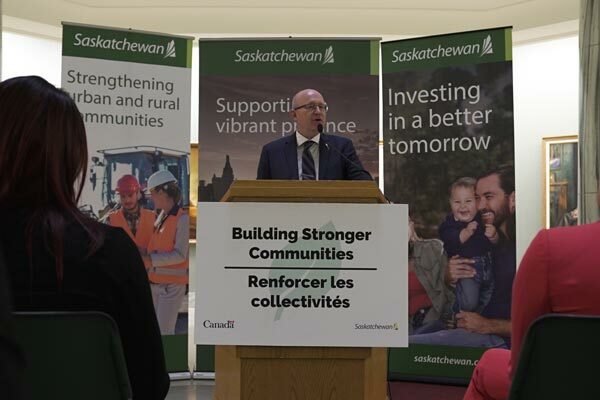 Saskatchewan announced a number of investments in water and wastewater treatment, as well as flood resiliency, in March 2019. On March 11, Bernadette Jordan, Minister of Rural Economic Development, announced funding for upgrades to Meadow Lake’s water and wastewater management systems. Due to geography and climate change, Infrastructure Canada said residents on the east side of Meadow Lake face increasingly serious flooding issues. Especially during spring thaws, large volumes of stormwater create a high risk of ruptures in the 50-year old sewer pipes that run alongside drinking water mains. This can leak contaminated water into the drinking water system. Under this project, all of the community’s common trench sewer and water pipes will be replaced. The city will also relocate its existing sewage lagoon to outside the city limits to protect Backwater Creek, which sits behind the existing lagoon, from raw sewage overflows. Backwater Creek runs into Meadow Lake, which is the raw water source for the city’s drinking water treatment plant. The Government of Canada is contributing $8 million to this project through the Disaster Mitigation and Adaptation Fund. On March 26, federal Minister of Public Safety and Emergency Preparedness, Ralph Goodale, announced funding for eight new water and wastewater projects in Saskatchewan. The governments of Canada and Saskatchewan are each contributing up to $27.4 million through the New Building Canada Fund. Total project funding amounts to more than $82.1 million, with funding recipients responsible for the remaining amount.